With just two episodes of The Walking Dead Season 9 remaining, things look set to take a deadly turn. The official promo for The Walking Dead Season 9 Episode 15 teases the four communities coming together to make some new pacts. It's been years since everyone has been together, so there's sure to be some conflict between some of our key players. But the purpose of this meeting is to put the past aside in order to craft an alliance that will allow the four communities to thrive for years to come. 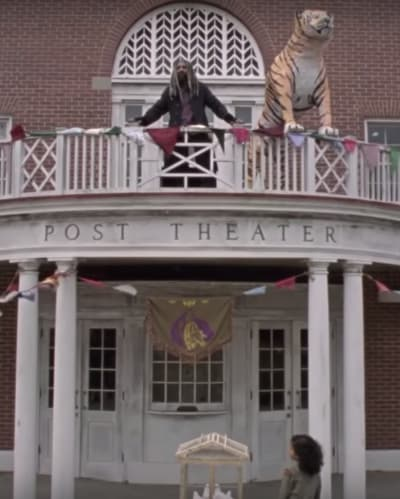 The big issue, however, is that the fair is being held at The Kingdom, and The Walking Dead Season 9 Episode 14 concluded with two of the Whisperers finding the community. If you watch The Walking Dead online, you know that Alpha is still looking to find Lydia and get revenge for Daryl and Connie leading a pack of walkers into her camp. The promo teases a deadly showdown between the Whisperers and some of our heroes. 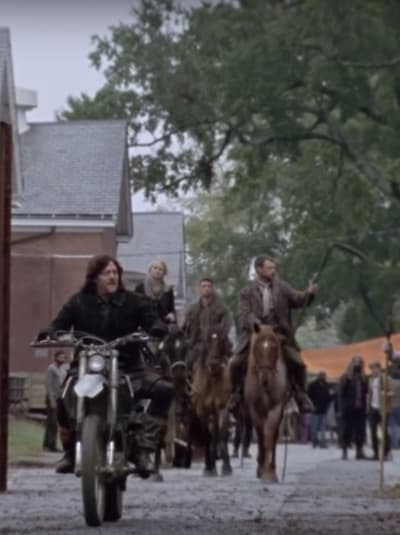 It sure looks like the Whisperers get the upper hand given that Daryl, Yumiko, Carol, and Michonne are outnumbered. It's possible that our four heroes are using this as a ruse to get the Whisperers in one place before starting off a big fight. Then again, comic book readers will know that something huge is about to go down that will change the scope of the show for good. It's hard to imagine us losing any more long-serving cast members this season, but the show has been known to throw in some surprises for good measure. Watch the full promo below and hit the comments with your thoughts on it. The Walking Dead Season 9 Episode 15: "The Calm Before"
The crossing over the river may be gone but we rebuilt a bridge none the less. Permalink: The crossing over the river is gone but we rebuilt a bridge none the less. Tell them the next time they cross over to my land, my horde will cross into theirs. 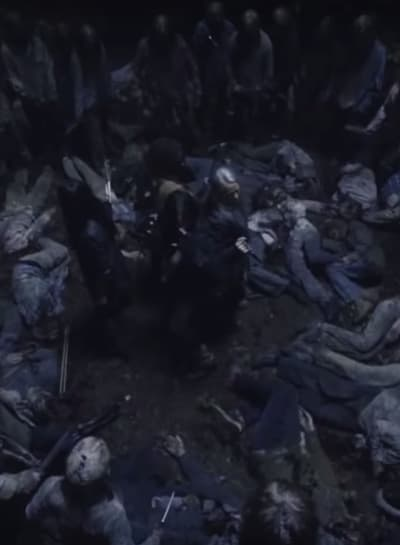 Permalink: Tell them the next time they cross over to my land, my horde will cross into theirs.